The cutest couple of Tollywood hosted a pre-wedding party a couple of days back which saw their friends in attendance. 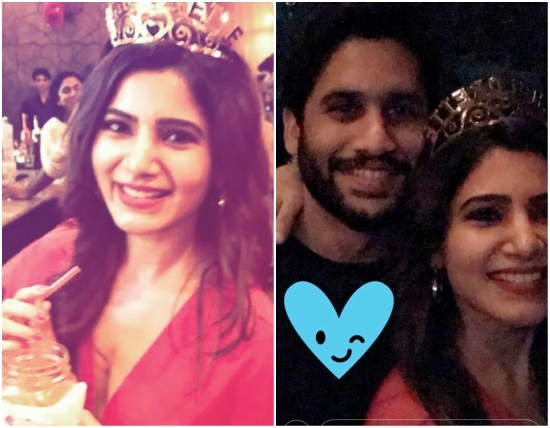 Akkineni Naga Chaitanya and Samantha Ruth Prabhu will get hitched in October this year and their wedding is the focal point currently in Telugu film circles. After having dated for more than 6 years, the cutest couple of Tollywood will now enter the wedlock, which will happen in Goa on October 6th and 7th. Preparations for the wedding are on in full swing with Samantha choosing her bridal wear and posting few pictures on her social networking page. 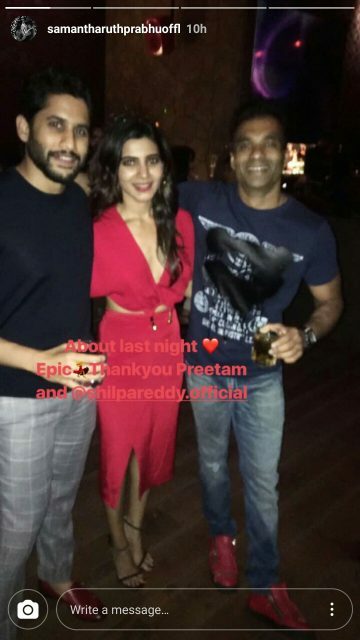 The couple even hosted a pre-wedding party a couple of days back which saw their friends and colleagues from the film industry in attendance. 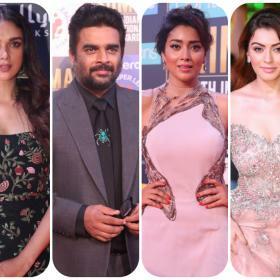 Wife of actor Ram Charan, Upasana Kamineni Konidela, popular designer Shilpa Reddy and many other people were invited to the do. Samantha Ruth Prabhu was seen dressed in a red dress with a high slit and looked gorgeous. Chay opted to go with a casual party wear of a checkered trouser and a T and looked in a casual mood. 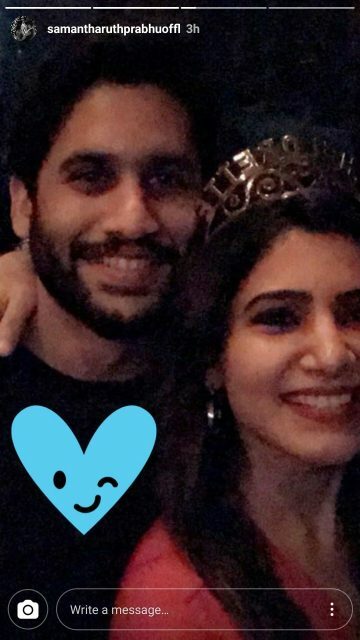 The cutest couple Akkineni Naga Chaitanya and Samantha Ruth Prabhu at their pre-wedding bash. 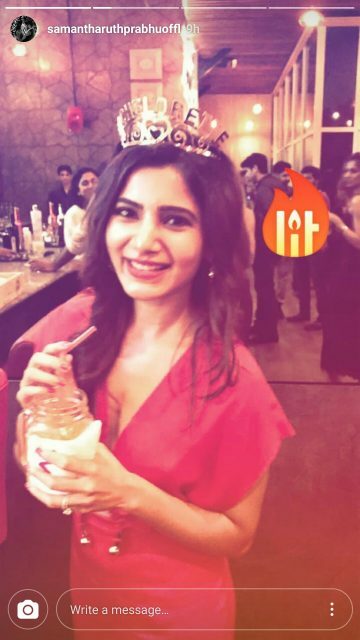 Samantha Ruth Prabhu with Shilpa Reddy and Upasana Kamineni-Konidela at her pre-wedding bash. Talent?? Dis 2?? U must be kidding!! She acted in YMC long back. There is something called age that will change your face too..you cannot look innocent and sweet forever so stop judging her looks !! Also she is famous and rich and doesn’t need chaithanyas money !! Gone are those days when women marry for guys money !! Agreed, she definitely has had work done on her face over the years, but she’s certainly not bad looking by any standards! She’s getting married, let’s pls send positive thoughts her way instead of blindly hating. how on earth can someone marry a plastic face ? He looks so chilled out…she is trying hard to impress as usual. She is trying to look gorgeous but has failed yet again. Fake injected lips are not at all gorgeous. She looks weird specially in the lower half of her face. No amount of make-up or clothes is going to fix that! She looks gorg…her style game is on point. wow, so much cosmetic surgery.. effects are showing.. alien invasion! Cleavage show as always….what else can you do when you have a plastic face!